Are you looking for the best quality auto glass repair? If you’re driving through the Marysville, WA area, call Joe’s Glass Co. to get the job done efficiently and effectively. Your safety is our top concern. We use OEM or OEM-equivalent glass to ensure the structural integrity of your vehicle. If you’re in an emergency situation and need a new windshield right away, our same-day service is there to get you back on the road. For your convenience, your windshield can be replaced at our location in Everett, or we can meet you wherever you are in Maryville or the surrounding area. Call us and let us know where to find you, and we’ll be on our way. Did you just notice a small chip in your windshield? While a chip in your windshield may not be causing you any problems today, these small chips can spread and turn into big breaks. Take action today and get that small chip repaired so you will not need to replace your entire windshield in a week or month from now. We can usually repair any windshield chips within the same day. 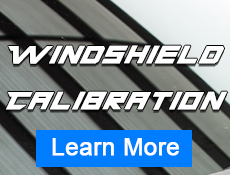 With our innovative process, we simply inject a thin resin into the damaged area of your windshield. We wait for the resin to cure and then polish it up. Remember to ask us about our lifetime repair guarantee for customers based in Marysville, WA. At Joe’s Glass Company, we know you’re busy and we work around your schedule. Instead of having to set up an appointment and drive to our shop, or wait while your auto glass is repaired or replaced; we come to you. Our professional installers can go just about anywhere in the Marysville area, no matter if you’re at home or work, our installer will drive to your location. That means when you leave work at the end of the day your car’s already fixed and ready to go. We work with all insurance companies and glass networks to provide you with quick and affordable auto glass replacement. If you’re looking for Marysville auto glass repair and you decide to hire Joe’s Glass, your insurance company may even waive your deductible. At Joe’s Glass, we do more than just fix your windshield, we provide a service you can rely on. With our dedication to safety, customer satisfaction, and same-day mobile service, Joe’s Glass Company gives you the best and most reliable auto glass replacement in Marysville. Call us today at (425) 353-4000. Joe’s Glass had the right glass at a price far below my deductible. They were recommended by Performance Kia as their top Glass Installer. I wasn’t disappointed as Joe’s got my vehicle in the same day, and the glass looks like new. They were friendly and professional and even talked to me about the replacement process. If I hadn’t been there when the rock flew up from the semi in front of me, I wouldn’t know there was ever an issue with the front windshield. Great job!!! Highly recommend! This is my second time using Joes, once on another vehicle where they came on site. They do great work in their shop or in your driveway. If you need glass replaced, check with them before you commit anywhere else! Bought an old windshield for my VW and they gave me the right one, just not the one I wanted, as there’s glue in and press in versions. Without skipping a beat they exchanged the two windshields for no extra charge and no questions asked.